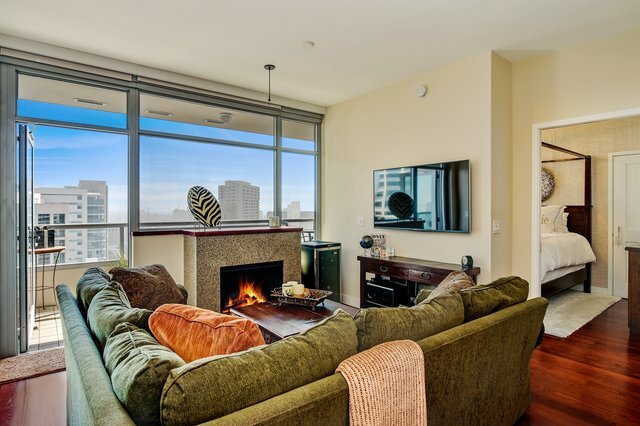 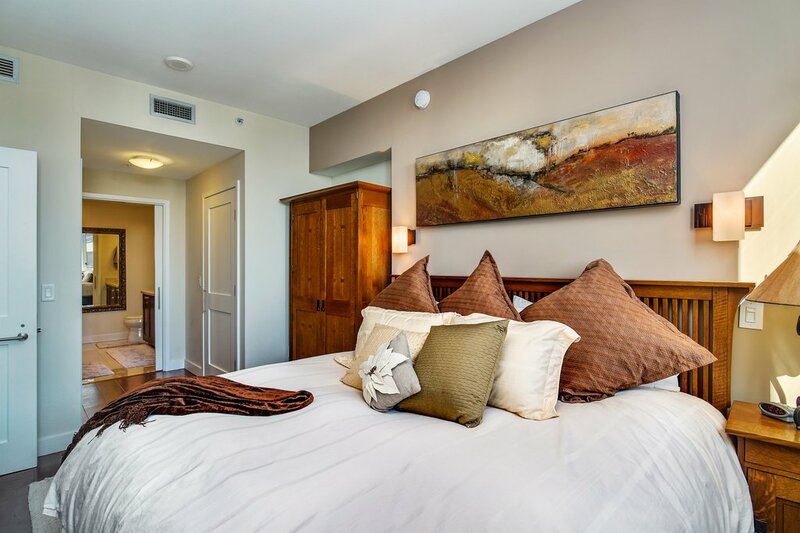 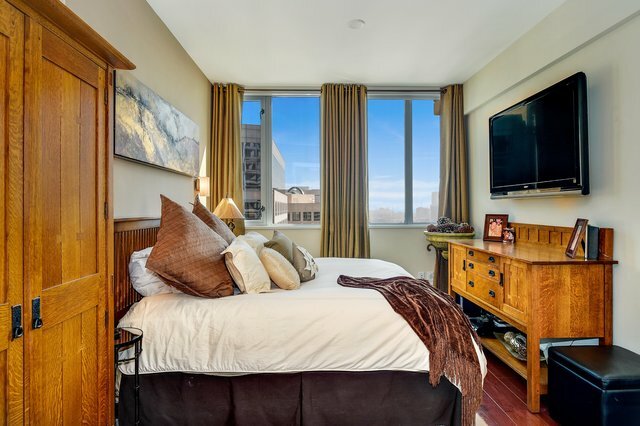 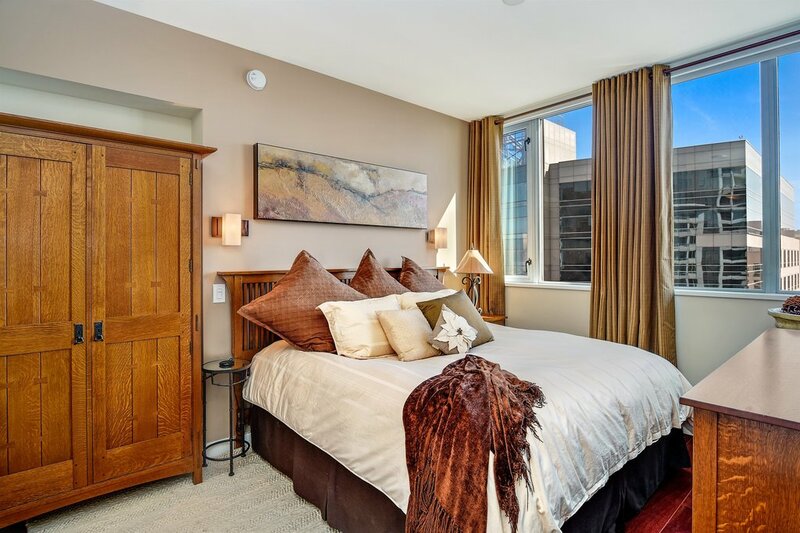 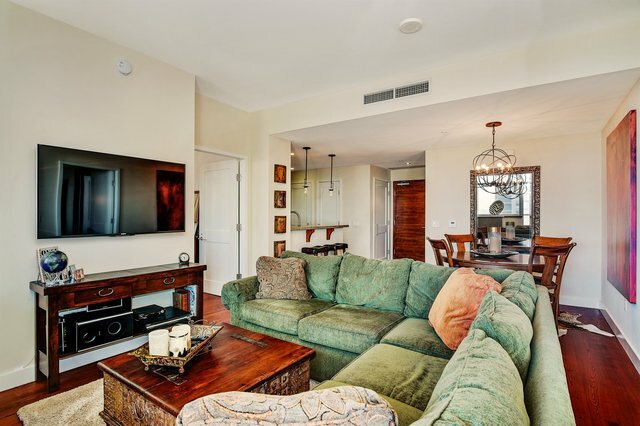 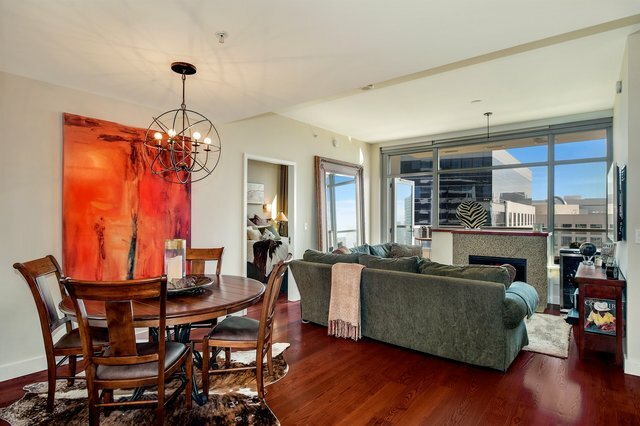 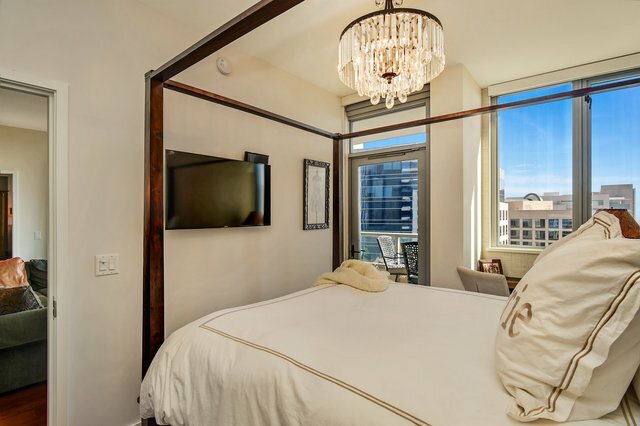 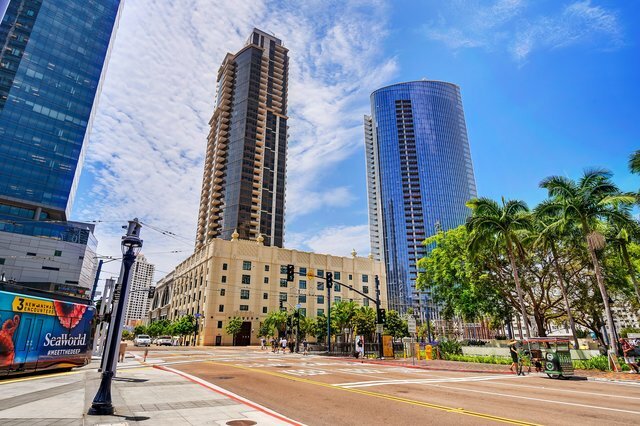 This marvelous condo in the luxurious Electra complex features a split bedroom configuration with hardwood flooring throughout. 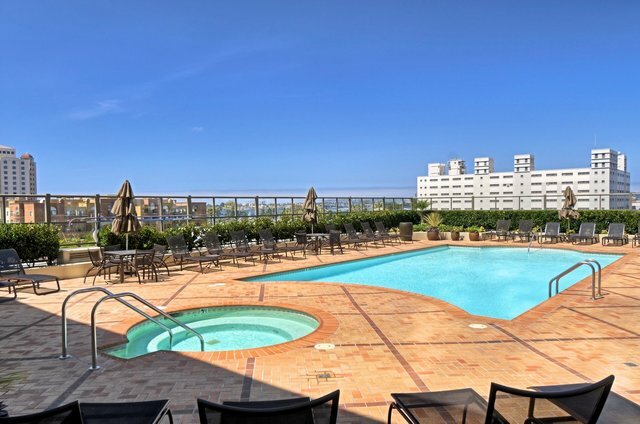 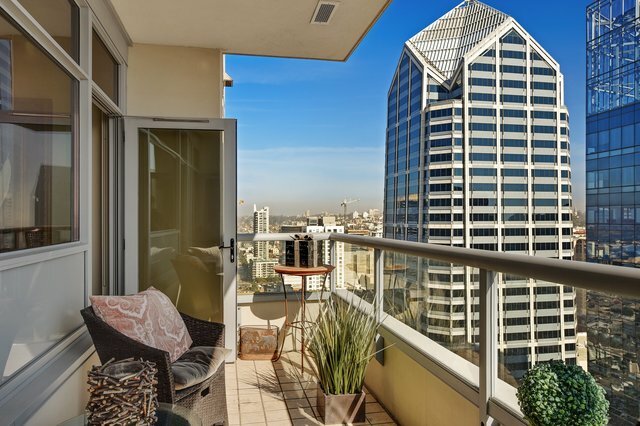 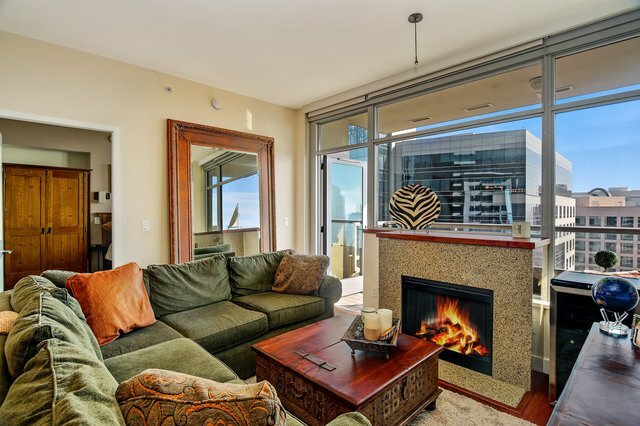 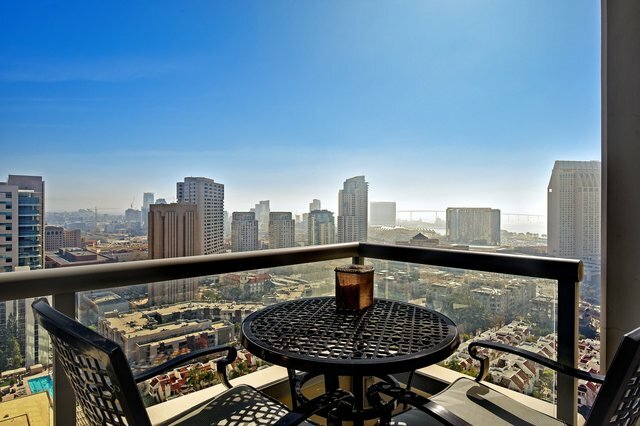 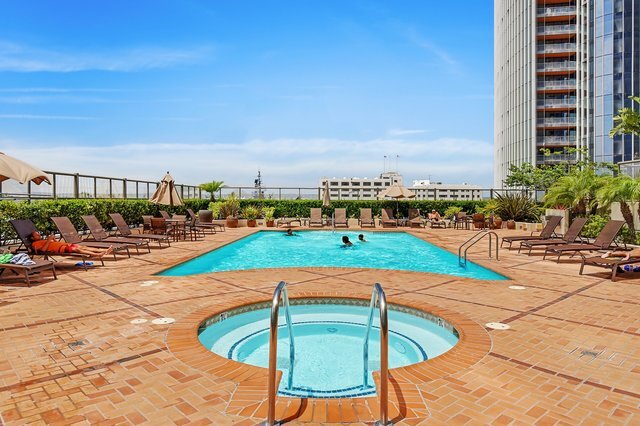 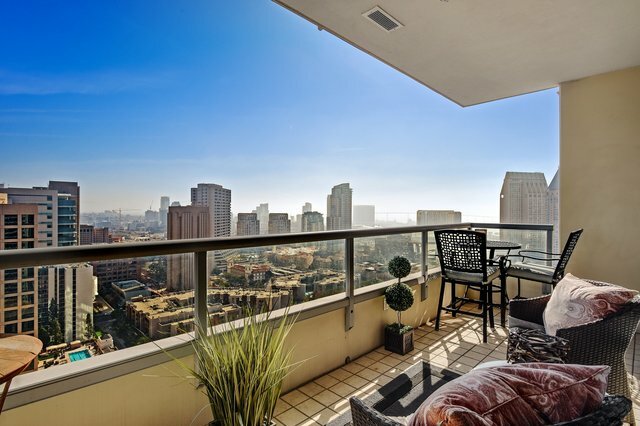 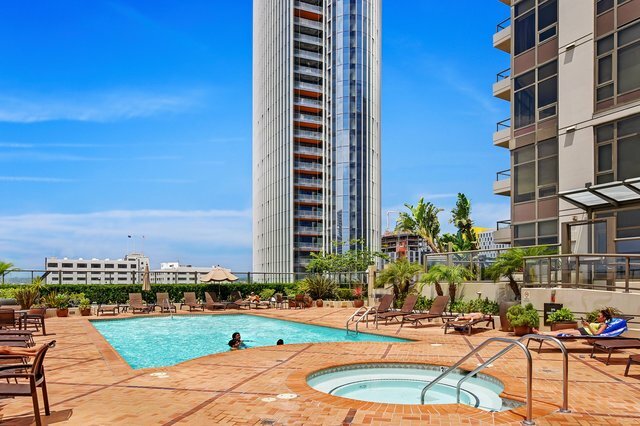 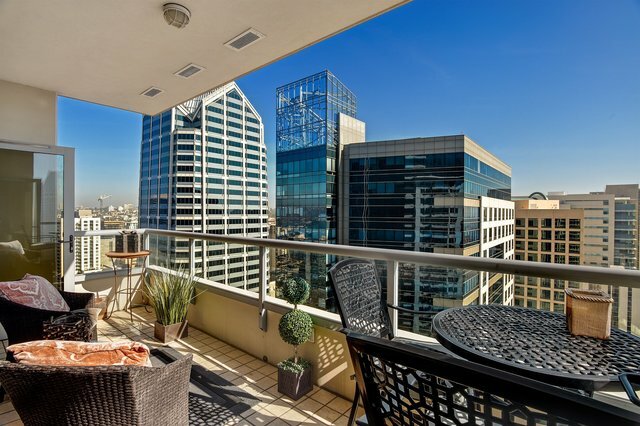 Enjoy the bay/ocean, city lights and Coronado bridge views while entertaining on your over sized balcony. 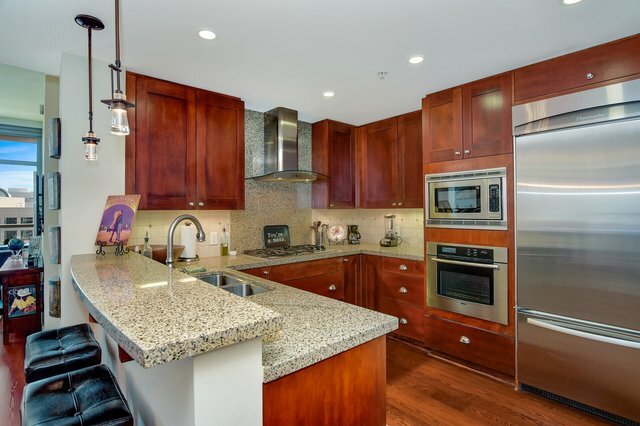 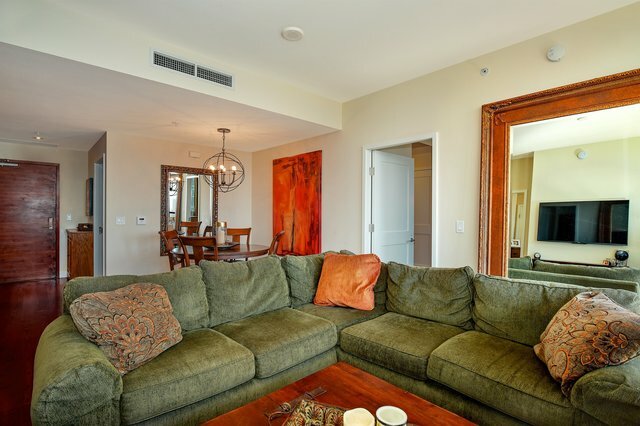 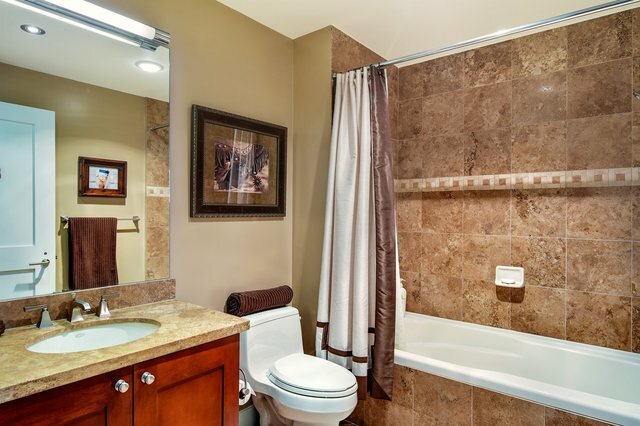 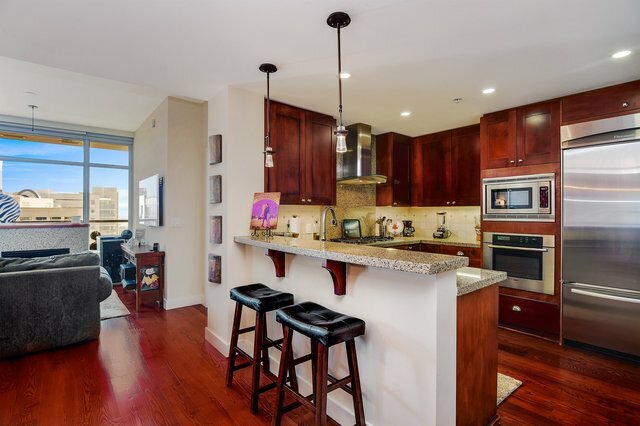 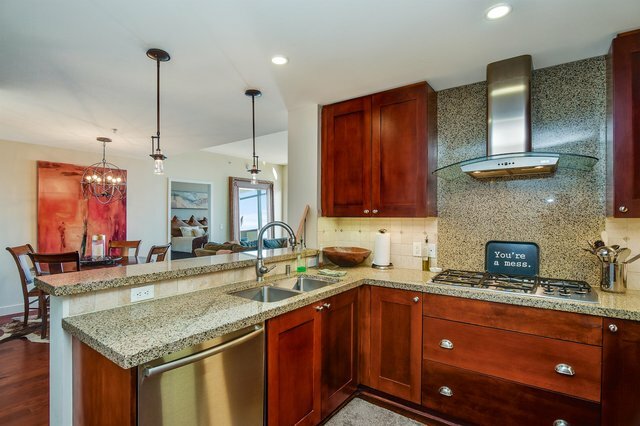 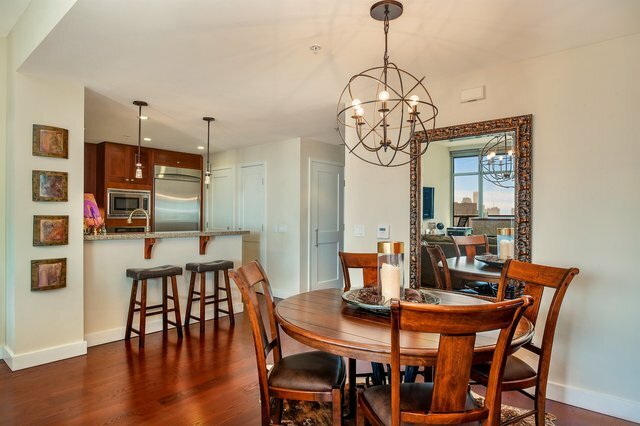 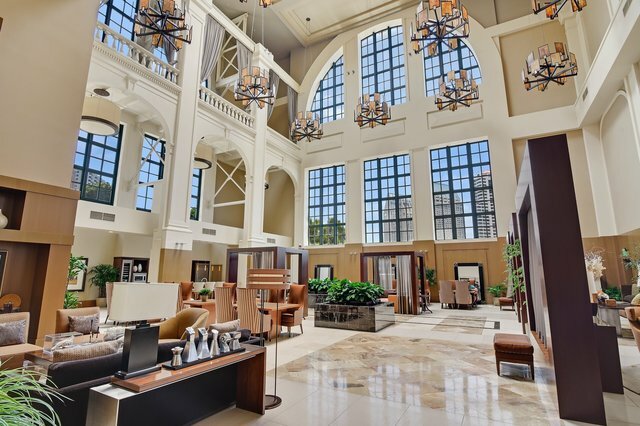 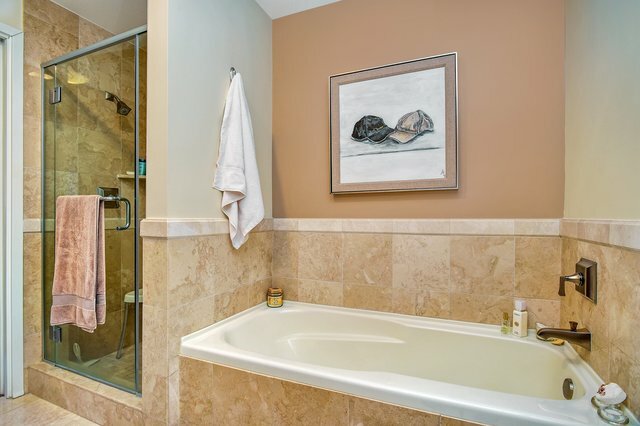 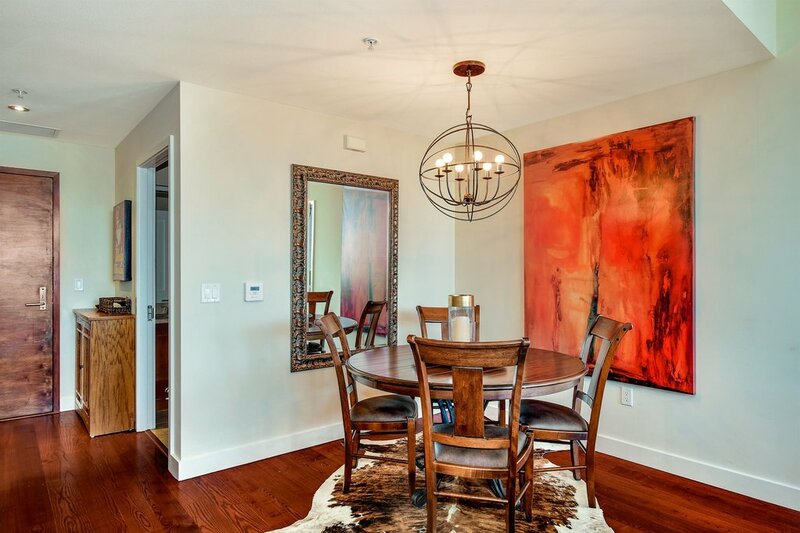 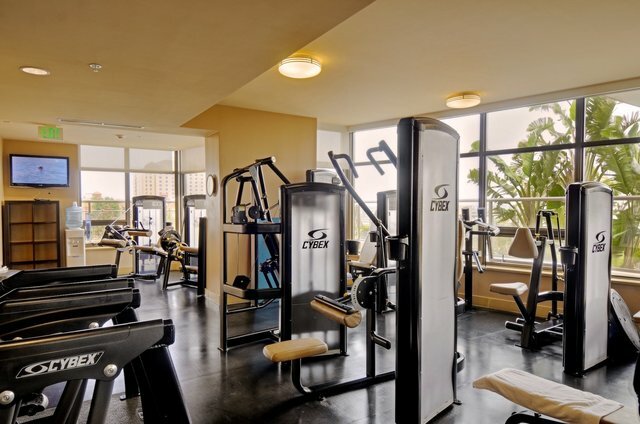 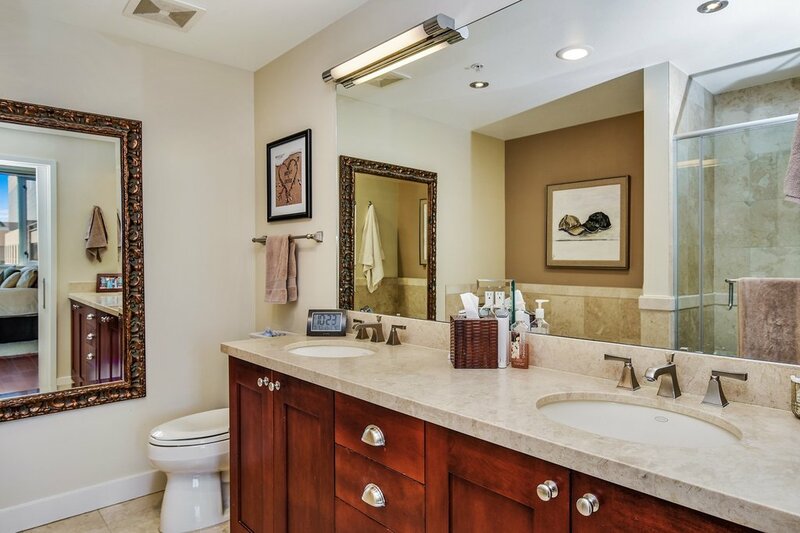 Features include granite counters, stainless steel appliances, custom light fixtures, and more. Both bedrooms and the living room are pre-wired for overhead lighting. 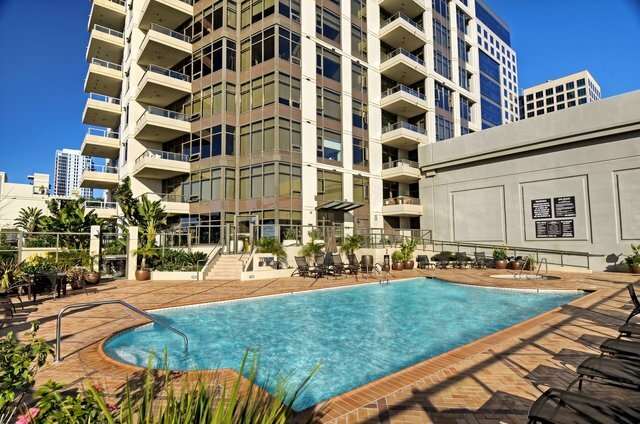 Bonus: Storage locker is about double the size of other units, and has a large parking space too!